Thanks so much to Always There Healthcare of Kansas City for the collection and donation of socks! Twelve years ago one single individual mentioned that a local organization had a need for socks. The idea of “Socks in September” was born. In the past twelve years through the generosity of hundreds, we have collected over 35,000 pairs of socks. During these tough economic times, the need for donations has escalated. The heartfelt thankfulness and joy in the voices of the organization that we have given to has been humbling. A warm pair of socks for a homeless person! A woman coming into a shelter with nothing and having new socks for her and her children! A new package of socks for a child at Christmas! Thank you so very, very much! Your donations have made a difference in the lives of many people here in our community. 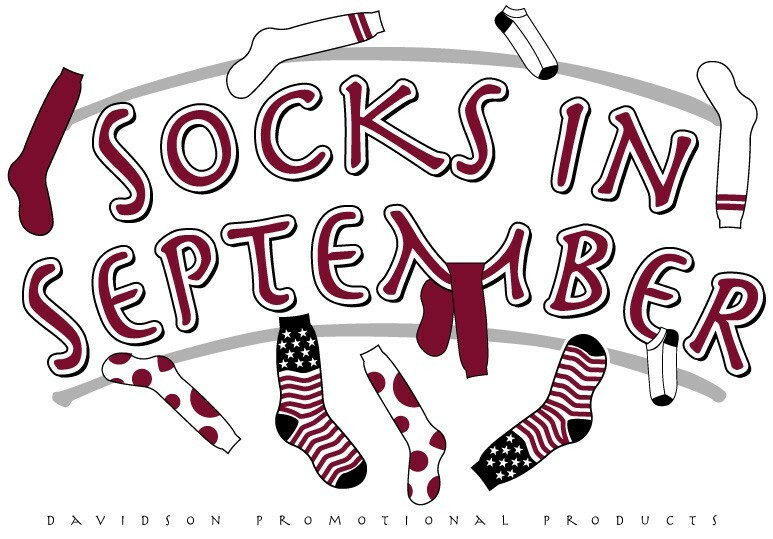 Davidson Promotional Products looks forward to 2018 and another great year of joining efforts for “Socks in September”. If you or your company would like to donate in 2018 give us a call at 913-851-9100. We will bring by a “Socks in September” bag for you to collect the socks. When you are done collecting give us a call and we will pick the bag up and deliver the socks. Congrats to Rachel for being elected to the Michigan Promotional Professionals Association Board (MiPPA). She will serve as board member January 2018-December 2019. Way to go Rachel.